Artistry.io is a product customization tool for e-commerce stores that increases revenue, customer trust, and business efficiency. 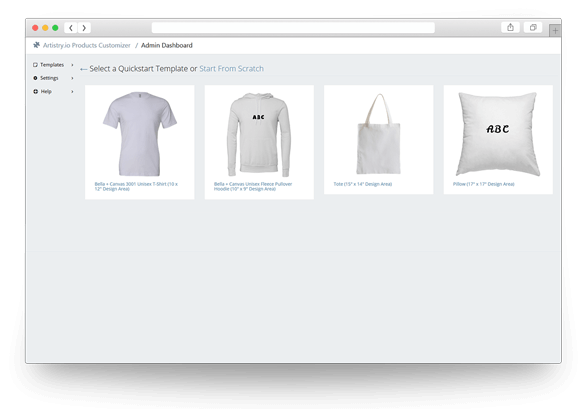 Our robust product customizer allows you to sell personalized products in your existing e-commerce store and automate the processing of custom orders. 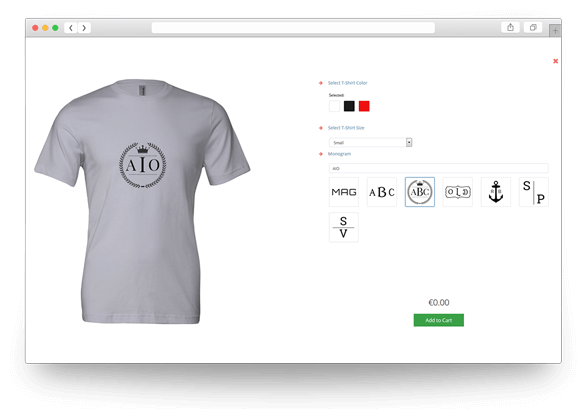 Boost revenue and profitablity by selling personalized products. Gain customer trust by showing them how their unique product will look like before checking out. Simplify custom orders without worrying about writing code. * 2015 American pantry study, page 14, Deloitte Development LLC, 2015. 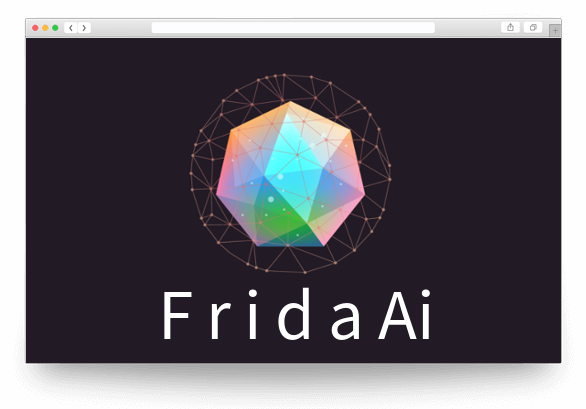 Frida is our amazingly smart e-commerce Artificial Intelligence machine. Frida will increase your sales and customers satisfaction by personalizing your products customizations for each customer. It will use its magic to determine the customer's most optimal customizations to close the sale. Your customers will be able to buy unique products made just for them! They'll also be able to see how their products will look before checking out. 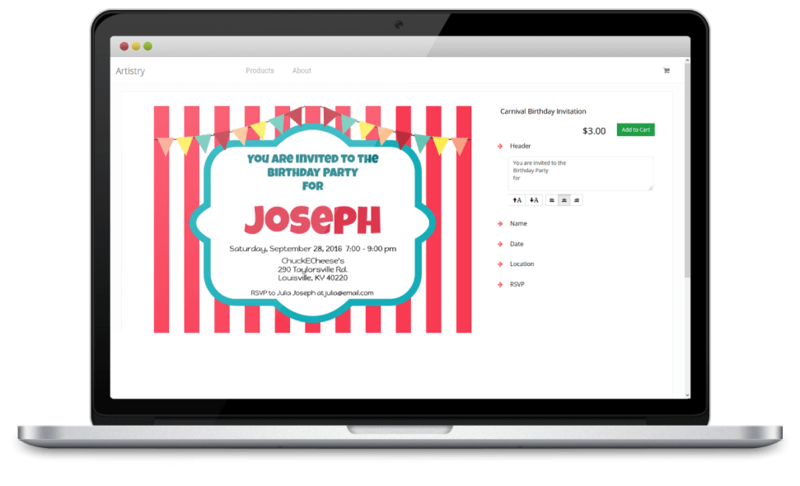 Offer your customers personalized products featuring their favorite Images, Custom Text, Monograms, Color Palettes, and more! Our user-friendly admin pages let you focus on creating and selling custom products without worrying about complicated HTML and code.